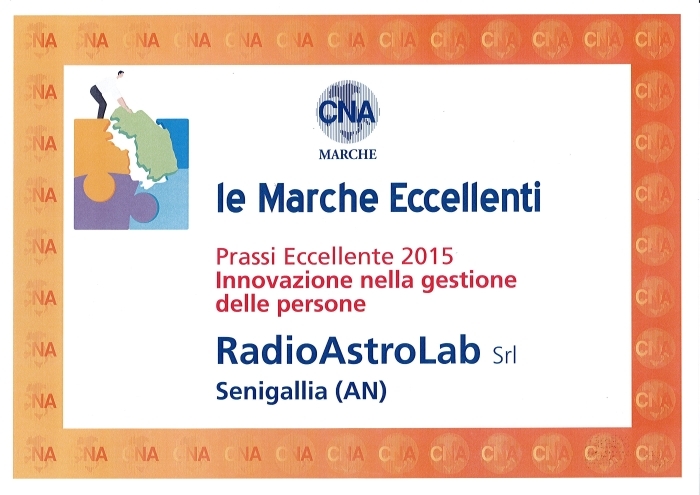 RadioAstroLab Srl was born in Senigallia in 2004. In the constant pursuit of excellence and quality of the product, the company is very active in the design and manufacture of tools for amateur and semi-professional radio astronomy, with a complete catalog of products designed to meet the needs of astronomers, radio amateurs and fans of science. We also propose ultrasound power generators for piezoelectric transducers suited for industrial suited for industrial washing and surface treatment: a family of innovative tools, highly performing and customized according to customer needs, whose strong points are reliability, flexibility of use and operational precision. What can complete our offer? All custom applications that you will propose us: we will help you to realize your exclusive project. The experience gained through years of collaboration with leading companies in the sectors served, together with the professionalism of the Technical Office staff, have made RadioAstroLab a dynamic company, strategically oriented to the most innovative segments of the market, an irreplaceable partner. RadioAstroLab is certified according to the UNI EN ISO 9001:2015. Competence and passion always open new market spaces.